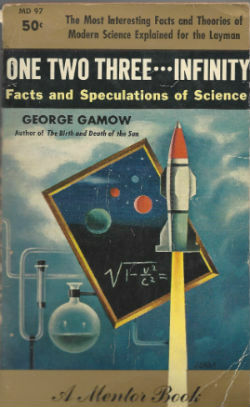 Gamow's book helped popularized Science in the 1950s. Two things lately have brought me back to the importance of science as a valuable field of study for Christians and Bible believers. Just today I scanned a new book at my local book store by historian Doug Brinkley on the 1960s fascination with the moon landing soon to be observed 50 years later in July. Wonder if I can afford to shell out on yet another tale for space junkies such as myself? Probably. There have been many great takes on the moon adventure from Tom Wolfe’s The Right Stuff to the more sober yet readable Moon Shot which I used for years to remind audiences young and old of the feeling of near-religious awe the early astronauts cam back with after seeing our wondrous planet in context. The romance of that epoch somehow stays with you. Then this week we were clearing out my deceased father-in-law’s library when I came across a writing from 1947 in good condition by George Gamow titled One Two Three…Infinity, a title that stays with you especially after seeing it on the book shelves of fellow Ambassador College students in the late 60s. Gamow was the theoretician of radioactive decay that allowed him a receptive audience for his 1947 exploration of everything from chromosome transfer to the looping effect of Copernicus. This was the great age of “scientism” when cause and effect and fact-based research reigned and it was only a matter of time before Science uncovered all and laid bare secrets were thought to once belong to the gods…or God, if you wanted to attack those persnickety Bible types. Yet even scientists are only human. One example of short-sightedness is in Gamow’s suggestive Chapter XI titled “The Days of Creation” wherein he arbitrated learnedly between two theories of the origin of the solar system. One was Buffon’s cosmic collision of something into the sun that lead to the splattering out of the planets – an idea challenged by the gradual “flinging off” of matter from a fast-spinning sun to gradually harden into planets. 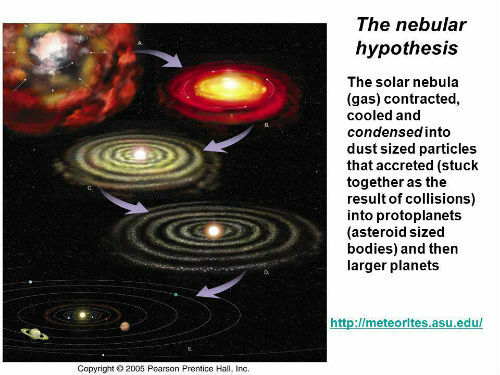 The last was the so-called “nebular hypothesis” of Laplace and Kant. Kant held the day even in discussions in out own church literature where we had a tradition of investigating what science was up to. However, the Big Bang Theory would soon rise up and overtake then all. Fascinating. Science doesn’t mind advancing and changing its theories. Maybe they set a pace here for Christians to consider. In an ideal world, strong attacks from skeptical scientists should force believers to search out what God sometimes conceals (Proverbs 25:2). With that premise guiding us let’s take a look at the hotly debated subject of Genesis One yet again. For about 100 years now careful students of the Old Testament have been arguing that the Creation Account is not (1) “borrowed myth” or a (2) necessarily strictly literal rendering (obviously God did not need to “rest” in Genesis 2:1-4) but… something else. That “something else” was not the battle with Science we so quickly jump into today to our own hurt quite often. 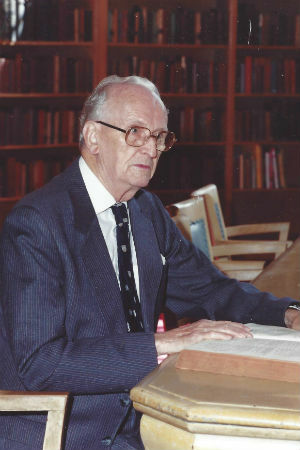 A few generations of good fair-minded Biblical scholarship that never seems to make it into the pulpit is the concept that the Bible writer’s design in such passages as Genesis 1 is to show the superiority of the God of Israel to debunk the rather gory and outlandish stories that were circling around the Ancient Near East. One of them, the Babylonian Creation Account, was the most well-known because it came from the center of the known world. “In Babylonian lore, Tiamat is the belligerent and monstrous ocean goddess. As one who leads battle against the supreme god Anu, she is the personification of evil [and chaos]. Before she is able to win this battle, however, another deity – Marduk – defeats and kills her, then slits her corpse lengthwise like a shellfish. From these two parts of her body Marduk forms heaven and earth.” This outlandish scene is detailed in Viktor Hamilton’s impressive The Book of Genesis, Chapters 1-17 (page 110). Marduk was chief god of Babylon and Tiamat (code for Egypt) may be referenced in Isaiah 27:1 as “the reptile that is in the sea.” This insight seems borne out by the often pondered quote from Revelation that there is no more sea – because, in Bible terms, that’s where the Beasts come from (Daniels 7:2). Later this energetic Marduk – active whatever else he is – decides to create man from the mud and the blood of a rebel god. Man is made to be a serf. Tough stuff. Toronto OT scholar R.K. Harrison advanced our knowledge about why Genesis 1 was written. How very different is the calm and effortless workings of the beneficent Creator God of Genesis 1. Israel’s God is supremely and serenely in control – he gives ten decrees and cosmic order reigns, water recedes, earth rises majestically. This same Lord God presides augustly over the Deep. God takes a craftsman’s delight in creating. The world he makes is “very good” and humankind is made in his likeness – in Egypt only the Pharoah was in God’s image. What a difference from the Babylonian myth! Indeed it is the divergence from paganism that stand out in Genesis. 100 years ago this was not conceded as it is today. As Norman Habel writes, the six-day pattern emphasizes the order brought out of tohu and bohu. There is no battle of the gods. Instead, the last day is a cessation from any exertion, the rest of God, “the final proof of the sovereignty of God,” says Donald Gowan in From Eden to Babel. “He has finished his creative work…all is stable, functioning properly, dependable and at peace.” This symbolic pointer to a good creation is signaled by the fact that the “evening and morning” formula is not used of Day Seven – there is no end to God’s peace. The Worldwide Church of God intimated in its publications in the early 1970s that the target of Genesis 1 is ancient myth, not the theory of evolution. Genesis 2 and 3 have parallels in Babylonian stories as well but the Biblical account gives the best and noblest theological explanation as to why things will never go as well in this grand creation as people expected. We don’t need a worldwide universal Flood by the language used at least. The most important point in the Flood story is not the dimensions of the ark. The main thing the New Testament dwells upon is in1 Peter 3:20. Eight people were saved by God’s grace. We are reminded that Salvation History not Science is the grand Biblical theme. The New Testament gives us our best interpretative tool for reading the Old. Keeping this focus as to the Genesis writer’s real purpose prevents Christians from being drawn into false and unnecessary conflicts with Science. This way we can enjoy Science as one of those fields of study that intuit again, There is no lasting wisdom that triumphs against the Living Word.